When clients behave badly, sometimes the right thing to do is tell them goodbye — permanently. Last year I met a fellow veterinarian who had a problem. Her scheduler erred in booking a house call. As a result, she arrived at the gentleman’s home at the wrong time. She sent the client a few text messages and waited. When he didn’t respond, she informed him that she had to leave and that he would be billed for the visit. When the client later saw the texts, he became irate. We can all probably relate to the client’s feelings. Who hasn’t felt a flash of anger when accused of a mistake that was someone else’s fault? It’s understandable. I’ve never cared for the saying “The customer is always right.” I’m sorry, but it’s baloney. Customers should always be listened to, respected, appreciated and honored as the people who pay our salaries and bring us pets to care for, but that doesn’t mean they’re always right. Sometimes they do things that are just plain wrong. As burnout and depression among veterinary professionals gain attention, it’s high time to reconsider our personal and professional boundaries. Yes, we must do all we can to serve pet owners, and that means supporting them when they are frustrated, scared or angry. But are we obligated to accept verbal or physical abuse from a pet owner? Must we take unjustifiable punishment simply because a client wields both a credit card and Yelp account? The answer must be a resounding NO! A threat of physical violence. Harassment using vulgar or inappropriate language. Threats of retaliation if demands are not met. Continued insistence that unrealistic demands be met even when the client is aware that these requests are unreasonable. The damage to you and your clinic from ongoing interaction with abusive clients manifests in three distinct ways. No one should be abused at home, at work or anywhere else. The psychological toll of dealing with an abusive person varies by individual, and it is important to remember that even if a client’s threats do not upset you, someone else in your clinic may be affected. Imagine the most horrible client. This person says the nastiest things, screams the loudest and ultimately leaves you the worst online review possible. Now imagine your most wonderful client. Imagine the smile on her face and the cookies she left simply out of kindness. Now ask yourself: Which of these two people has a bigger impact on how you operate your clinic? For most of us, the squeaky wheel gets the grease. Abusive clients get your attention, hold your attention and make you question everything you’re doing. You may find yourself or your team making decisions under this influence that you wouldn’t normally make. Consider what it’s like for other pet owners as they watch a red-faced client scream at the front desk staff. Think about how those witnesses feel to be greeted by a veterinarian and employees who are flustered after dealing, yet again, with someone who tore into everyone in sight. These pet owners may not feel abused themselves, but their experience in your practice is undoubtedly marred. The decision to fire a client is not easy, and it should not be taken lightly. Never forget that we often see people on one of the hardest days of their lives. When someone is losing his furry best friend to cancer and he can’t scream at the carcinoma, that grief and anger may be redirected unfairly at others. In cases like this, we must remember our compassion and commitment to those families we serve. That’s the case of a person who was obviously hurting from something our colleague had nothing to do with. As the saying goes, everyone is fighting a battle we know nothing about. Let’s bear in mind that our most difficult clients are often a product of our own creation. I frequently hear practice owners complain about clients who demand discounts on goods and services. When I ask, “So, what do you do when they make those demands?” the answer often is, “Give them what they want.” If we repeatedly offer positive reinforcement for bad behaviors, we cannot be surprised when clients exhibit them over and over. While maintaining our compassion and commitment to clients is of paramount importance, we must remember that we go through this life one time only. 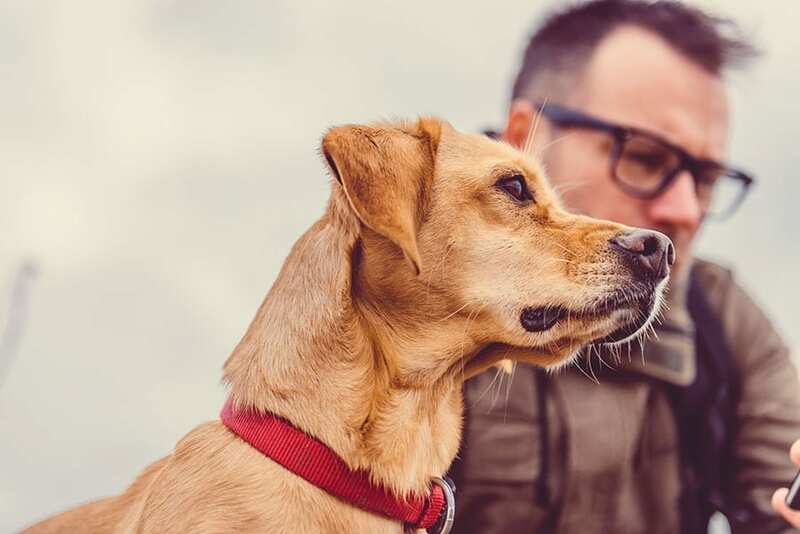 If you or your staff members live in a state of dread because of one regular client, you are paying too large a toll for that pet owner’s business. This can burn out talented people and increase employee turnover. If we must choose between a great receptionist and a single abusive client, that choice should not be difficult. Finally, we must reject the idea that losing a client equals failure. Some clients are simply not a fit for your practice and would be happier somewhere else. Perhaps they are adamant that veterinary care should be as affordable as possible and that your focus is on providing the gold standard of care. In this case, neither party is wrong. They simply have incompatible philosophies. Generally, there are two approaches I have found effective when terminating a client relationship. Which one you use depends on the nature of the problem at hand. Everyone has an occasional bad day. Unfortunately, some people seem to have bad days every time they come to your practice. They leave angry each time, and your employees feel frustrated or hurt for the rest of the day. At some point, enough is enough. Don’t act from a place of anger. If you’re considering when to have the conversation or send the email, the best answer is do it when you are no longer angry or upset. Be brief. Know your talking points and stick to them. Be compassionate. We can enforce boundaries without making assumptions or passing moral judgment. Remember that firing a client should be a once-in-a-blue-moon event. Be open to clients giving critical feedback, asking questions, challenging your knowledge, voicing valid frustrations, struggling with prices or showing a lot of emotion. This is, to some degree, what we signed up for. Don’t make a rash decision about firing a client, but don’t ignore the staff’s feedback either. Breaking up is hard, but with care it can be done smoothly and with as little fallout as possible. Dr. Andy Roark is an author, speaker and practicing veterinarian in Greenville, South Carolina. He is a three-time winner of the NAVC Practice Management Speaker of the Year award. Learn more at www.DrAndyRoark.com.